Fisher-Price is recalling approximately 44,000 children’s Power Wheels toy vehicles because they can continue to run even after the foot pedal is released, posing a risk of injury. The recall includes Power Wheels Barbie Dream Campers that were sold exclusively at Walmart stores from July 2018 through January 2019. The recalled product has a model number of FRC29, which can be found printed under the hood. Fisher-Price has so far received 17 reports of the toy’s wheels continuing to run even after children released the foot pedal. No injuries have been reported, the company said. 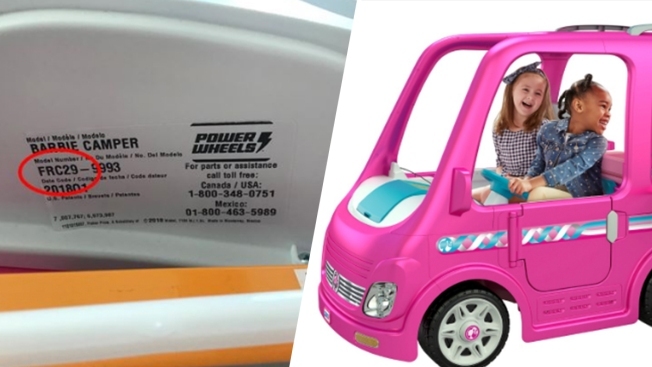 Consumers are urged to take the Power Wheels toy away from their kids and to get a free repair by contacting Fisher-Price at 1-800-348-0751.